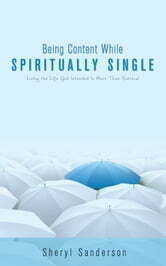 What is, or who is, spiritually single? 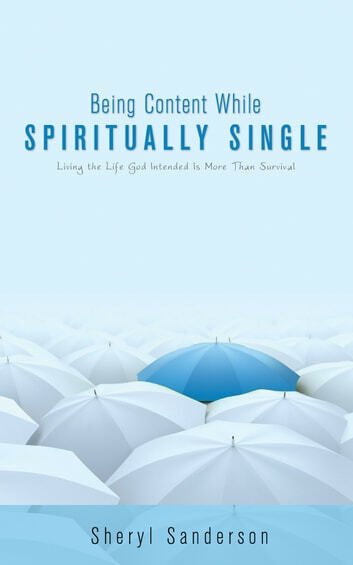 "Spiritually single" refers to anyone who has a spiritual belief system (in this case, Christianity) and doesn't have a spouse with whom to share their beliefs. It may be someone not married, or someone who is married to a non-believer, which may include someone with a different religious belief system. This book will guide you by encouraging you to take a look at your own life through discussions and times of reflection, helping you turn from anguish to contentment. By developing your own strategies, you will find your God-given purpose, and prepare to embark on finding true contentment in God. About the Author: Sheryl has been married to her husband Russell for thirty-five years. They live and attend church in Port Coquitlam, British Columbia. Russell and Sheryl have been blessed with two children who are now young adults. Sheryl has also written A Cord of Three: Christ-Centred Marriage. Our Stories of Overcoming "Homosexual Behavior"